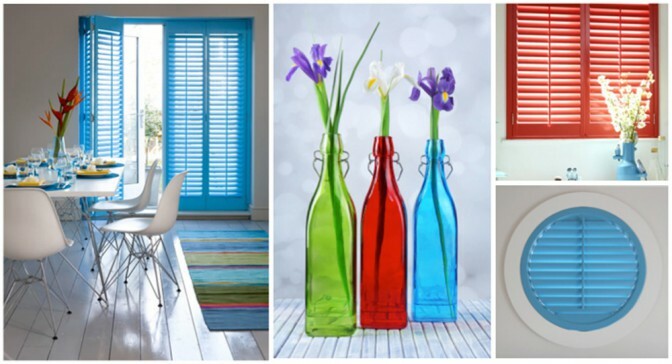 Don’t be afraid to be bold with colour; decorate your home using your favourite colours to create the mood and feeling you want to evoke in your home. 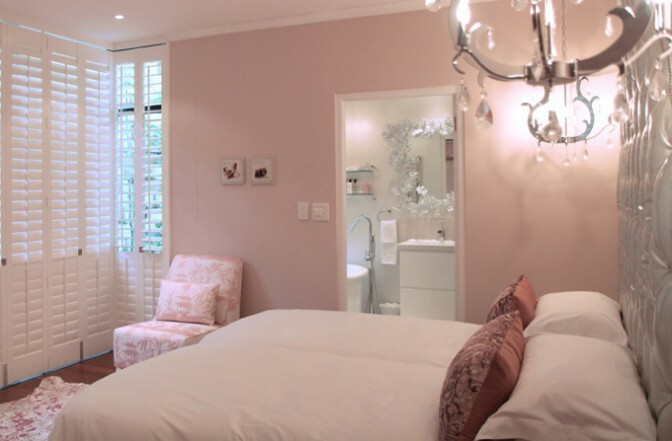 Colour trends will come and go, using colours that reflect the personalities of the people who live in the home will make it beautiful and timeless. Being bold however does not mean being frivolous. Choosing and designing with colour requires careful thought and planning. Colours not only impact the mood of the space, but can effect the perception of the size, scale and shape of the room. Decide on what mood you want to create in the space i.e. relaxing, energising, social, active etc. Consider the interior style of the house and how the space flows into other areas and what colour palettes are being used there. Look for inspiration in decor and fashion magazines and websites. 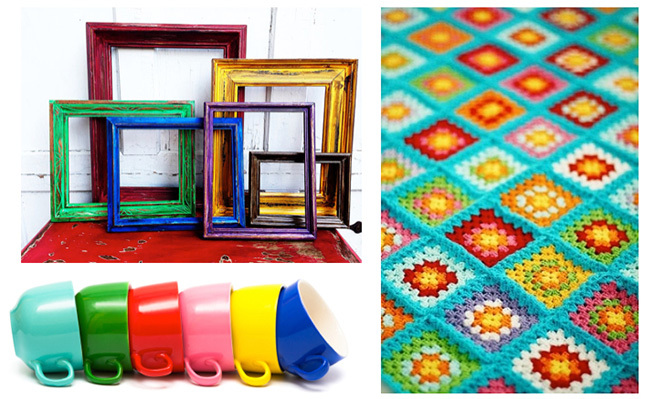 Identify your starting off point – a piece of fabric, an artwork, a specific piece of furniture or display etc. and then expand from there. 1. This simple display of colour vases was used as a starting off point to decide on the colour palette for the space. Active: Active colours are warm colours such as reds, oranges and yellows, they are positive colours that inspire socialising and conversation. Passive: Passive colours such as blues, greens and purples relax, calm and restore energy. Neutral: Neatural colours are neither active nor passive, they rather complement these colours. Netural colours include beige, taupe, whites, greys etc. Also keep in mind that using light shades of any colour tend to create a more open expansive space and darker shades of any colour make a room more intimate. Choose your dominant colour – this can either be a neutral or if you have a favourite colour, be bold and go with it. This is generally the colour you will change least often. Pick accent colours – limit yourself to two accent colours, they can either be bold or soft tones or a combination of the two. Then layer your colours with shades and tones of either the accent colours or the dominant colour. 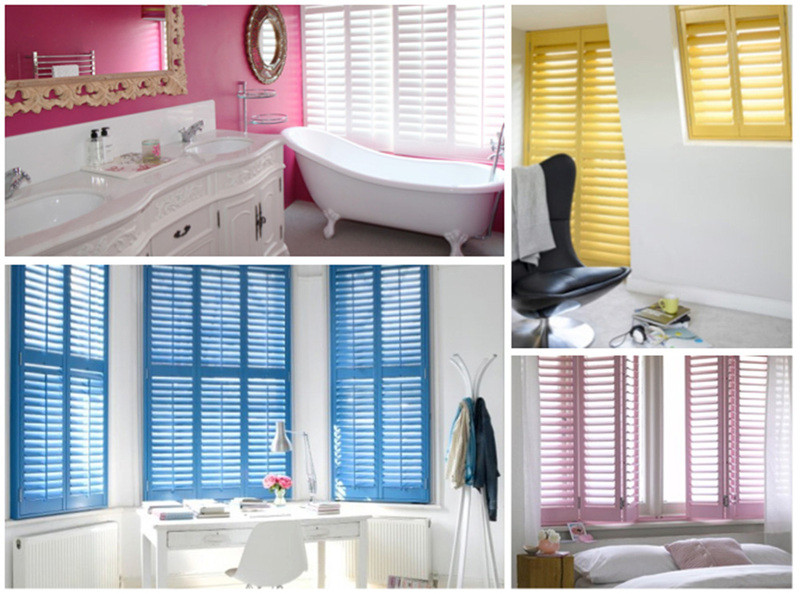 If you are confident in your colour preferences and opt to go with a strong colour as your dominant colour then consider having customised shutters made in your colour of choice. Coloured shutters make a bold and beautiful statement and the way they play with natural light when the louvres are opened and angled in various ways adds interest and new shades of the colour to the space. 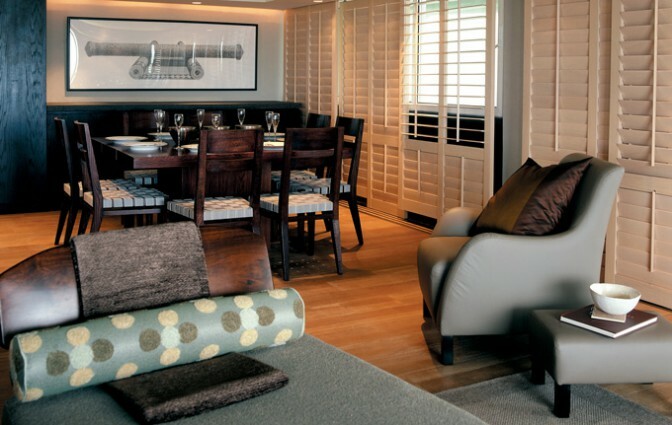 If you are unsure of how long you will keep your colour scheme, then we suggest you go with either a natural finish or neutral colour in your long-term decor investments and permanent finishes such as shutters and bring the colour into the space with furnishings, finishes, accessories and paint choices. Don’t be afraid to bring your favourite colours into your space, fashion and colour trends come and go and it is more important to have your home represent your taste and make you feel as comfortable as possible. So be bold and create some beautiful colour schemes unique to you and your home.